I’ve been to the Edinburgh Film Festival a few times previously in support of films I have worked on – in 2003 with One For The Road, 2004 with Dead Man’s Shoes, 2009 with Big Things, and a handful of shorts in other years that I can’t quite remember. This year I had nothing screening but decided to go up anyway with my friend Tim Cunningham, a screenwriter and occasional collaborator (Dig Your Own Grave). I got an industry delegate’s pass and entered into the usual film festival routine of 3 or 4 films a day, strung together with more or less functioning alcoholism. I was there for seven days and typically missed a few films that I was really curious about, but I gave it a pretty good go in the time available to me. For no greater reason than to aid my own memory here are my five favourite films plus a list of the rest. This was probably my favourite overall, a modern feminist take on 1960-70’s sexploitation films and classic Hollywood melodrama. Witty and clever, it is very even-handed in skewering and satirising various stereotypical male and female responses to love and commitment. The ideals and constructs of masculinity and femininity are also explored, as well as other rich themes such as narcissism, murder and revenge. Very funny throughout and extraordinarily crafted in every department, it is so much more than a simple pastiche of the visual tropes of Russ Meyer films and their ilk. The period details interact casually with modern elements such as mobile phones and so despite the obvious vintage flavour it does have its own strangely contemporary feel. Most impressive of all is that the director, Anna Biller, also happens to be the writer, the editor, the producer, the costume designer, the set designer, and the composer. I was apparently standing near her at one of the networking events but unfortunately didn’t know that until it was too late, so I missed the chance to have a chat which can be one of the great aspects of festival attendance. But I subsequently found a superb interview she did here, which covers far more ground than I ever would have whilst clutching my free glass of wine and awkwardly attempting to turn the conversation back to myself, as is customary at networking events. Before I saw this I had spent some time during the festival talking with the director Steven Lewis Simpson, as we always seemed to gravitate to the same drinks events day after day. In a very modest and self-effacing way he had joked about the practicalities of working with a 95 year-old lead actor (Dave Bald Eagle), and of producing, directing and shooting the film himself in 13 days with an additional crew of only two (and subsequently also editing the film himself). So as a result I expected something with a guerrilla feel, a bit rough around the edges no doubt. The reality came as something of a surprise (patronisingly of course) as it is strikingly well composed and shot throughout, with a beautiful and affecting performance from the ageing lead and everyone else around him. 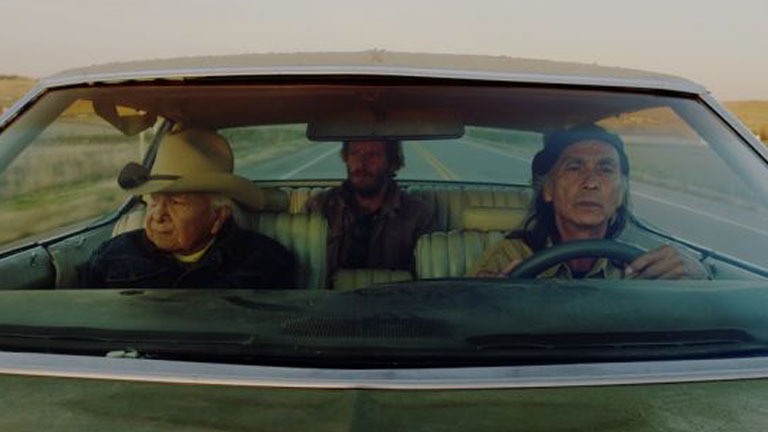 It contains some profoundly moving scenes and tells an important story with a lot of respect and heart and no shortage of dry humour, exploring life on a modern Indian reservation and the inescapable links to a particularly violent part of American history. Ten minutes after I watched this film in the videotheque I bumped into Steven again, a great luxury of being at a festival where you get to immediately quiz the director and relay your own responses directly. I felt this film gave such insight into life in a remote Icelandic fishing community – with its unblinking look at isolation, hard work, duty, family dysfunction and alcoholism – and was so subtly performed that at times it had a documentary feel. However that is not intended to imply a loose observational feel, rather a sense of veracity in what is a very carefully and well told story that builds and builds to some real gut-punching conclusions. I enjoyed this British thriller so much that I was surprised subsequently to see some less than impressed reviews online, particularly from American reviewers. While it’s true that it is possible to point to a couple of slightly flimsier moments of plotting, I thought the writing in general was very smart and witty and constantly moving the story forward without predictability. 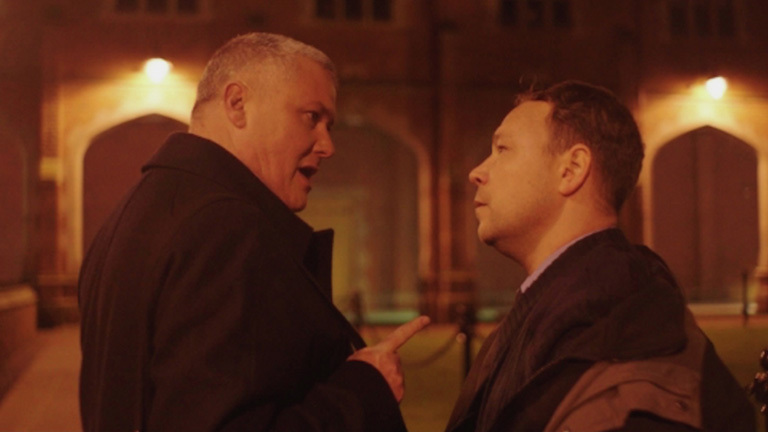 Able to create tension one moment and then be amusing the next, it also plays with audience sympathies very well and the performances of Conleth Hill and Stephen Graham propel the whole thing superbly. Again I’ve since seen some middling reviews of this French thriller, but all I can say is that coming to it completely cold it kept me entirely involved and entertained. I suppose there are those of us who enjoy differing iterations of the same crime genre staples, such as “the heist gone wrong”, as long as they’re done with some originality and style and I felt this film certainly displayed that. To restrict most of the story to the interiors of four cars, each with two occupants of varying aptitude and temperament, successfully created and held the necessary tension. 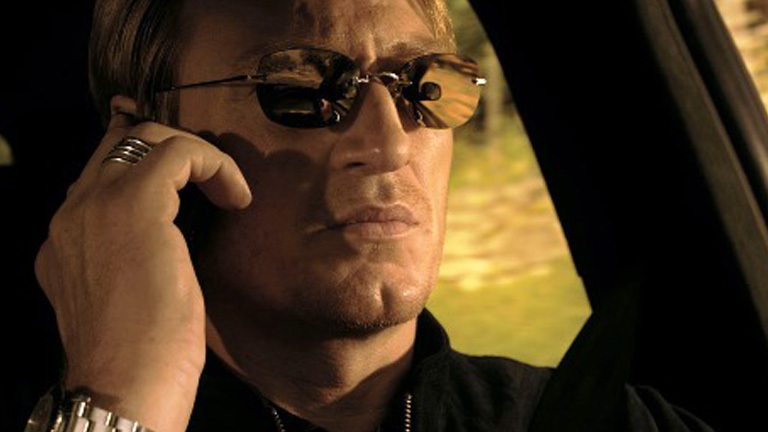 The stunt work and larger set pieces add plenty but really I thought it was the sense of claustrophobia (trapped in the car, trapped on the long road, trapped in life) that was so effective. Then just to note the rest that I saw, in no specific order: Brakes, Bigger Than The Shining, Away, To Steal From A Thief, Ken and Kazu, The Library Suicides, Adult Life Skills, Santoalla, Golgo 13, Sixty Six, Mr Right, River, Jacques Tati’s Playtime, Yoga Hosers. Short films: Anna, Pina, Teresa; Expression of the Sightless; Fire, Water, Air; The Frame; Ghost Copy; Remembering the Pentagons; A Thing Among Things.